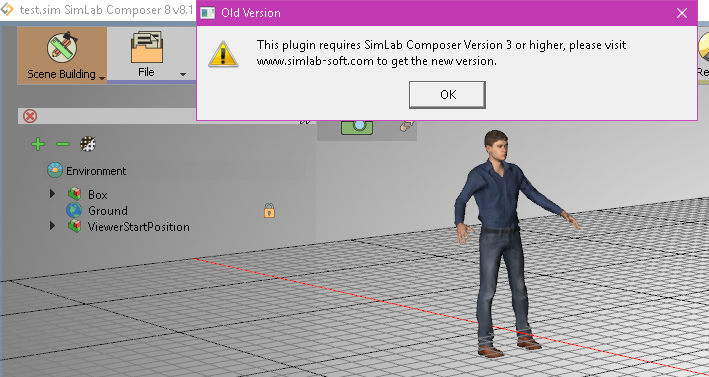 I have SimLab Composer 8 v8.1 and Version 6 (6.0.18016.23451, 16.01.2018) installed. This plugin requires SimLab composer Version 3 or higher, please visit http://www.simlab-soft.com to get the new version. Last edited by JohnDuckstein on Wed Feb 07, 2018 5:32 pm, edited 1 time in total. What version of Rhino are you running? SimLab wrote: What version of Rhino are you running?